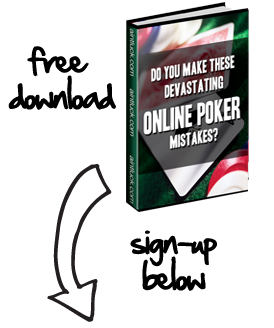 When you join an online poker room and make a deposit, you’ll be enrolled in the site’s VIP program. And your lifeline to earning more rewards and benefits from a VIP program are the VIP points you earn along the way. As you accumulate lots of points, you’ll be able to get into poker tournaments for free, exchange your points for real money, and even purchase merchandise from a poker store. With all of the great things that you can do with VIP points, you should do everything in your power to earn extra points, which includes playing in Online Poker Happy Hours. What are Poker Happy Hours? Poker Happy Hours are specific hours when a site offers extra VIP points to players. For example, some sites will double or triple the amount of points you earn during a random hour - say 4:00 or 5:00 o’clock. So if you earn 10 VIP points within the hour, those amounts would suddenly be bumped up to 20 or 30 points. And if you take advantage of these Happy Hours promotions every day, you could earn some major VIP points! The first step towards finding Happy Hours is looking for the poker sites that are most likely to offer them. Full Tilt Poker is far and away the best room in terms of offering Happy Hours since they run this promotion nearly every single day. PokerStars is another good site in regards to offering frequent Happy Hours. But no matter what site you choose, make sure to look for their Happy Hours in the lobby; a Happy Hours table will be marked with a special symbol. After you’ve found a Happy Hours table, sit down and start playing to earn extra VIP points. The extra points you earn will enable you to reap all kinds of increased bonuses and rewards.